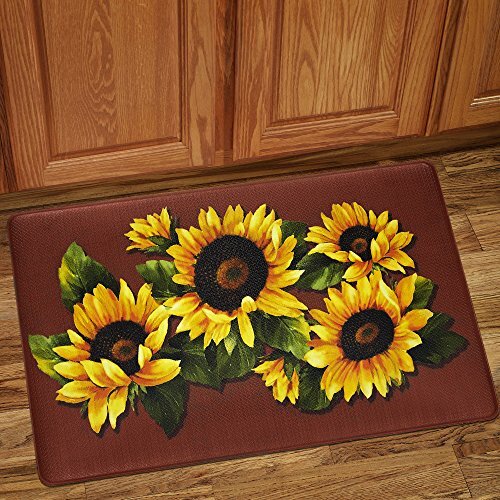 Memory foam kitchen Mat, made for long lasting Comfort. Anti-fatigue for standing Comfort. Easy care, wipe clean with a damp cloth. Measures 18 inches wide by 30 inches long. Features a Sunflower Print against a spice colored background. Kitchen rug measures 18" x 30"